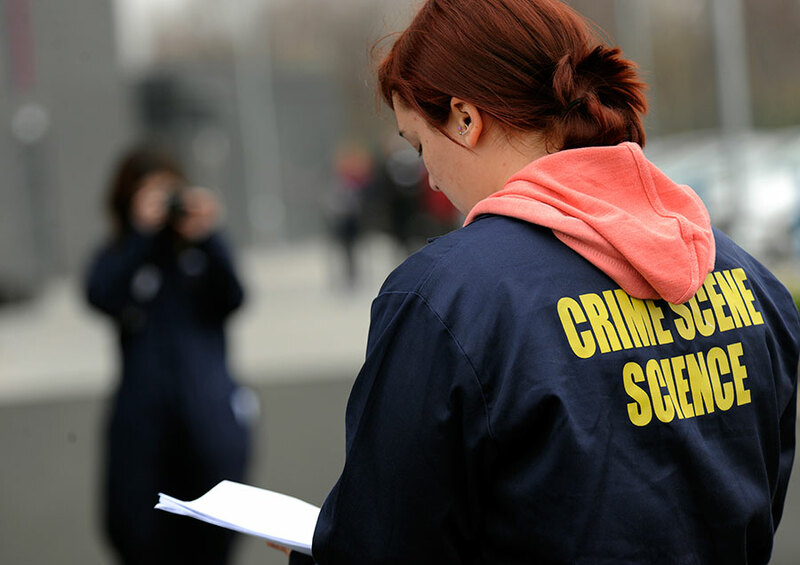 Our accredited BSc (Hons) Crime Scene Science degree course can prepare you to play an important role in modern society. 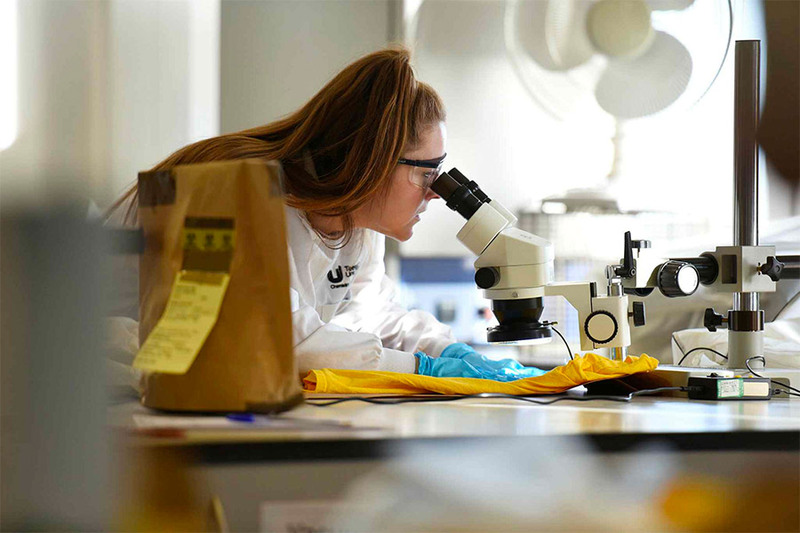 As a multidisciplinary area of study within the broader field of forensic science, you explore scientific techniques to help investigate and deter crime in different environments. 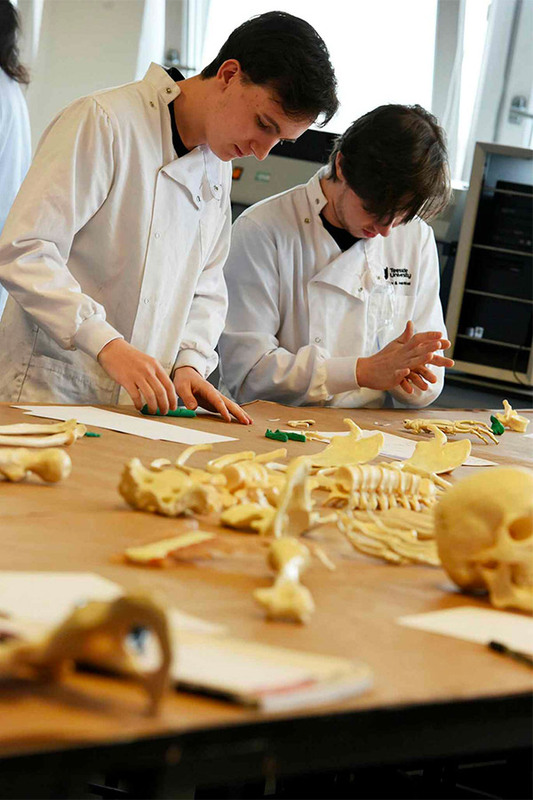 Our students have access to extensive facilities in crime scene science, and to many staff who are former practitioners in crime scene investigation and bring operational experience to the classroom. Our course teaches you to manage the forensic process from start to finish. 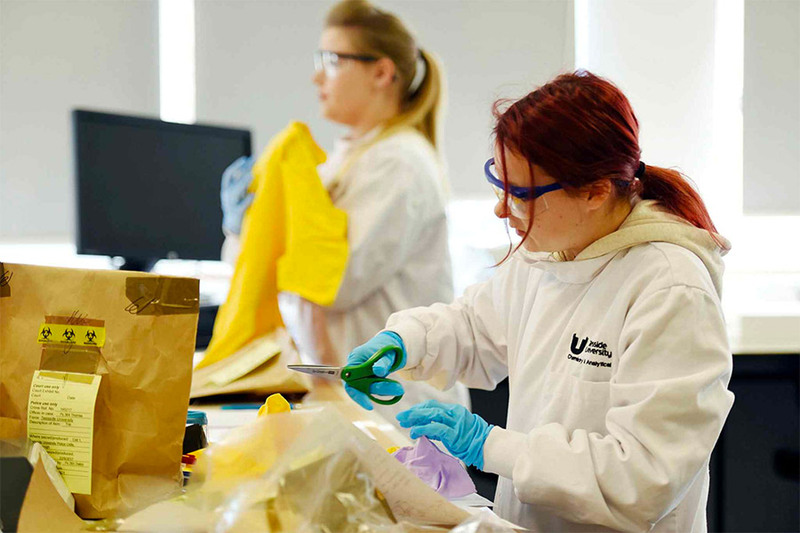 You develop skills in gathering, recording, evaluating and presenting evidence, as well as understanding the science behind forensic analysis. Knowledge of the degree subject is not the only thing you learn whilst at university and it’s not the only thing that potential employers are looking for after graduation. You develop a range of skills applicable in all walks of life. These include your ability to communicate clearly and effectively to different audiences, verbally and in writing, to make an effective contribution as a member of a team, to work independently or on your own initiative when required, to tackle problems where you don’t have all the necessary knowledge. You learn to locate information and datasets, and assess its usefulness making efficient and effective use of the latest information technologies to communicate your findings. You also learn to assess your own performance – this gives you the chance to recognise and build on your strengths, and identify and improve your weaknesses. This module is part of a series running throughout your studies – you develop key skills which are assessed through a series of activities where you also learn about key aspects of your chosen subject. This module introduces you, as a science student, to basic principles and good practice in collecting, recording and evaluating data, and using information resources and referencing. You consider the assessment and handling of scientific errors. The module covers a range of basic mathematical skills and introduces you to statistical methods that are essential in a range of scientific endeavour. We emphasise the use of spreadsheets for data recording, presentation and statistical analysis. This module provides you with the professional skills required to work as a member of an investigative team dealing with a range of challenging situations. The focus is on developing your psychomotor skills to maximise forensic evidence recovery at a variety of incidents by applying sequential processes. We do this using simulated incidents and practical exercises. You attend a series of lectures and practical sessions. The module is assessed through your portfolio of work including work from practical sessions. At the end of the module you sit a multiple choice examination through the virtual learning environment. The module is designed to meet a number of National Occupational Standards for Crime Scene Investigators. This module introduces you to the key skills and theoretical background required of a photographer working in the forensic and crime scene arena. The module is predominantly hands on using industry standard digital photographic equipment to develop your photography and imaging skills. You learn through practical sessions gaining hands-on experience of digital SLR cameras and the key controls needed in photography. Practical sessions are supported by lecture content covering key underpinning theoretical concepts. This module is about group work, investigating a simulated digital intelligence-based case that develops and unfolds. As a group you must work together to discover elements of the case and drive the investigation forward. You are given an intelligence package to work through. This module is delivered through lectures supported by tutorial and IT laboratory sessions. You need to carry out guided independent study before the intensive week. During that week your group gets the final piece of intelligence and you are required to produce an intelligence briefing. You also carry out self and peer assessment. You examine the nature of the law and of the Constitution of the United Kingdom, and explore how the law is formed. You acquire a detailed understanding of the concept of law and the main legal institutions and procedures within which English law operates. You build on skills acquired in the modules Crime Scene Examination and Crime Scene Photography in year 1. Using this prior knowledge as a foundation, you increase your knowledge of scene attendance, visual, photographic, forensic and fingerprint examination as well as locating, recording and recovery of physical evidence from crimes scenes, victims and suspects. You develop psychomotor and presentational skills in relation to the role of the crime scene investigator. You also cover material appropriate to National Occupational Standards as well as those laid down by the Chartered Society of Forensic Sciences. You gain a detailed knowledge of fingerprints and footwear marks and their use in the investigative process. You analyse evidence from relevant and varied sources to make independent judgements on the assessment, comparison, evaluation and verification. This module also gives you an understanding of footwear marks in both an intelligence and evidential context. You gain realistic practical experience of two key investigative roles which are increasingly merging in modern practice. The module is delivered using lectures and practical sessions covering footwear and fingerprint recovery. You work in teams to solve an open-ended employer-relevant problem. You develop your employability skills – incident management, presenting work, research and forensic awareness to support problem solving in a technical context. You work in small teams and carry out a practical investigative project which is allocated by a supervision team. The project is relevant to crime scene investigation, so you acquire practical knowledge and skills which are important to your academic discipline. The work is largely student-centred, but includes some elements of formal instruction. You also consider practical issues such as health, safety, environment and ethics facing the professional in the workplace. This module engages you in the full investigative process from gathering evidence to submitting prosecution reports and appearing in court as a witness. Enforcement agencies increasingly work in a co-operative multidisciplinary manner in real-world situations. This is a group project module, with all students contributing a vital part to the investigative team to produce a final report that would successfully gain a conviction under the relevant legislation. As part of a multidisciplinary group, you use the skills you have learned within your programme to contribute to investigating a crime. This includes using appropriate professional techniques and core competencies to gather and retain physical or electronic evidence, obtain samples, inspect premises, take statements and interview suspects under caution. 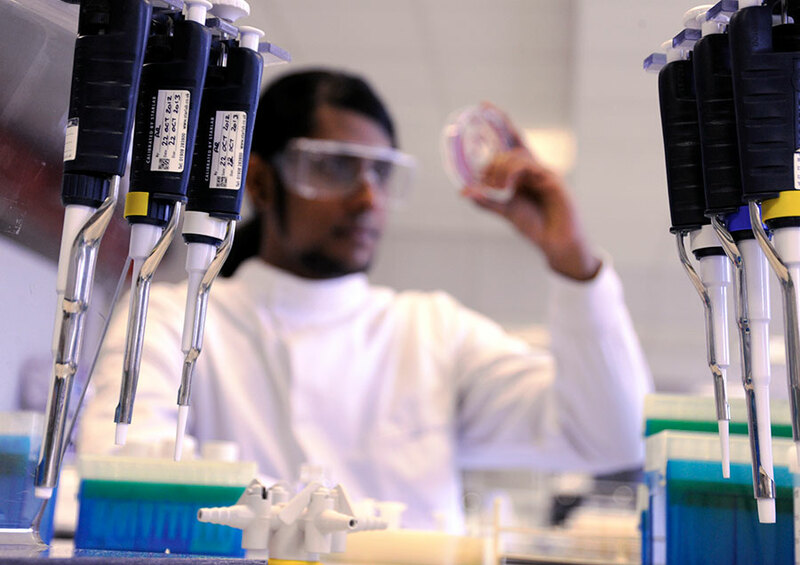 The module considers the common procedures and processes used in investigating major incidents and provides you with detailed knowledge and appropriate practical skills in a range of specialist techniques. You evaluate the appropriateness of scientific procedures, ethical and legal issues and analyse, interpret and evaluate data and intelligence relevant to an investigation. You are involved in a range of specialist practicals where you work as part of an investigative team, managing and processing the scenes yourselves operating under as realistic conditions as possible. The module allows you to draw intelligence and evidence together from a complex major incident to develop working hypotheses to establish who, what, when, where, why and how elements within the investigation occurred. You have a series of lectures supported with tutorials to prepare you for some aspects of the practical work and assessments, and to discuss results from the investigation and the subject areas in more depth. A series of practical sessions explore scene examinations and laboratory analysis of exhibits recovered from the scenes. This module enhances your understanding of the functions of an intelligence unit, and the systems and processes used to analyse intelligence. You explore the theoretical models that apply to analysis and develop the cognitive and psychomotor skills required of problem solvers using IT laboratory sessions. You use software packages and datasets, and look at how crime science theory supports problem-orientated policing to define the analyst as the crime expert. The module covers the underpinning science used to investigate fire and collision scenes. The reliability and validity of current techniques are assessed and considered in the light of investigative and legal requirements. 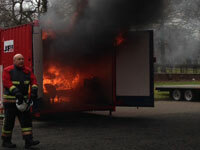 This module is ideal if you are interested in a career in fire and collision investigation or prevention. It is delivered using a series of lectures supported by seminars and laboratory sessions where you gain hands-on experience of interpreting fire and collision artefacts and scene measurement. Where possible, we use room-scale fire demonstrations as a teaching tool for fire scene investigation. This module takes a detailed analysis and application of the law relating to fraud and intellectual property rights. You examine forms of unfair and illegal practices to draw together the links between some of these activities and serious organised crime. You explore the use of the Proceeds of Crime Act to address financial gain from illegal activities. In addition you consider the impact of licensing laws on enforcing and reducing alcohol-related crimes. Materials are delivered through a series of lectures, seminars and tutorials. 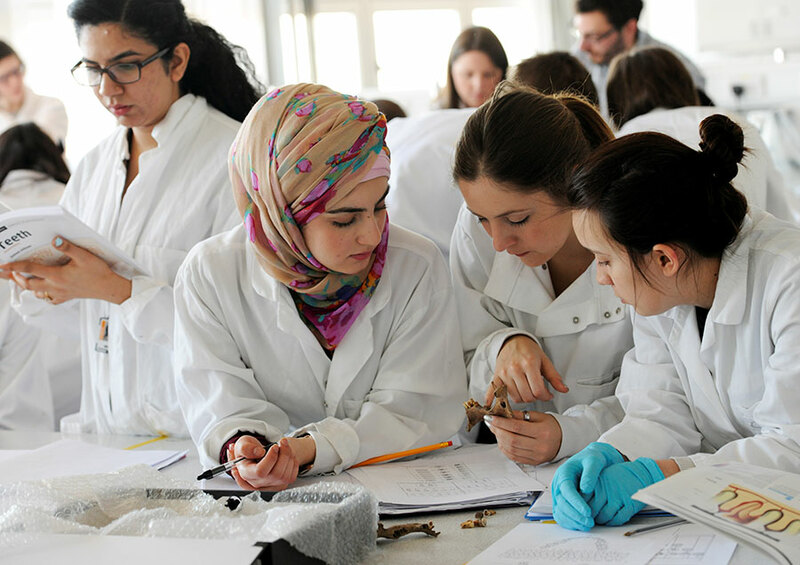 Practical lab-based sessions help you to engage in research-informed learning, exploring topics in greater depth and providing opportunities for formative assessment, reflection and feedback. 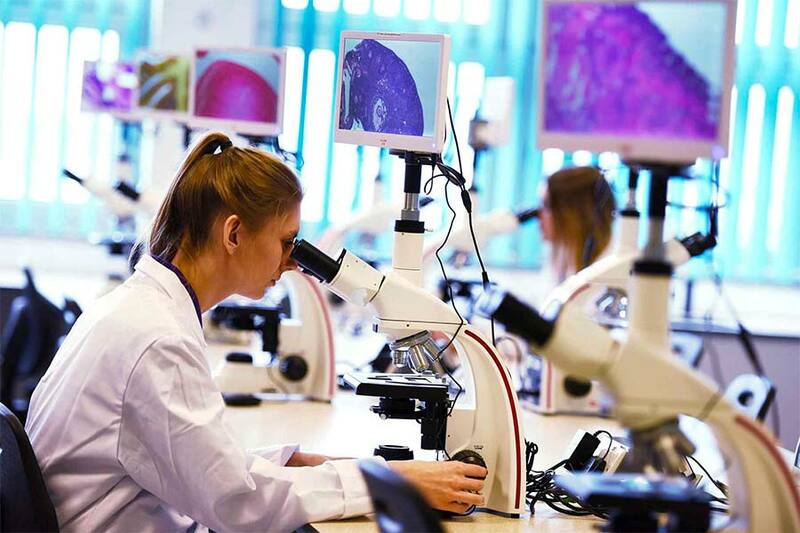 You are expected to attend a range of lectures, small-group tutorials and a high number of hands-on practical sessions utilising a full range of crime scene facilities and specialist laboratories. Part of your course also involves a substantial research-based project. The course provides a number of contact teaching and assessment hours (lectures, tutorials, laboratory work, projects, examinations), but you are also expected to spend time on your own, called ‘self-study’ time, to review lecture notes, prepare coursework assignments, work on projects and revise for assessments. Each year of full-time study consists of modules totalling 120 credits and each unit of credit corresponds to ten hours of learning and assessment (contact hours plus self-study hours). So, during one year of full-time study you can expect to have 1,200 hours of learning and assessment. Assessments are varied and reflect the module outcomes. There are written assignments, photographic and evidence portfolios, essays, court/case reports, verbal presentations and examinations. You also have the opportunity to present evidence in our on-campus court room. There are no specified subject requirements for this course. Alternative equivalent UK and international qualifications are also considered. If you are not eligible for Year 1 entry, we also offer this course with an integrated foundation year. 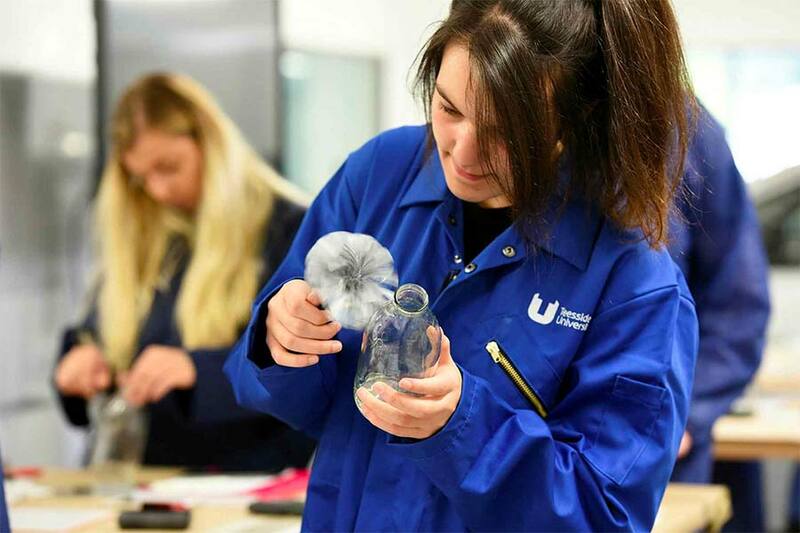 If you have previously studied a relevant subject at a higher level (for example HNC, HND or one or more years of a degree at another institution) we can consider you for direct entry to Year 2 or Final Year of this course. Please provide us with a complete detailed transcript of your previous studies with your application to help us determine your eligibility for advanced entry. GCSE English language at grade 4, or a pass in Level 2 Functional Skills. 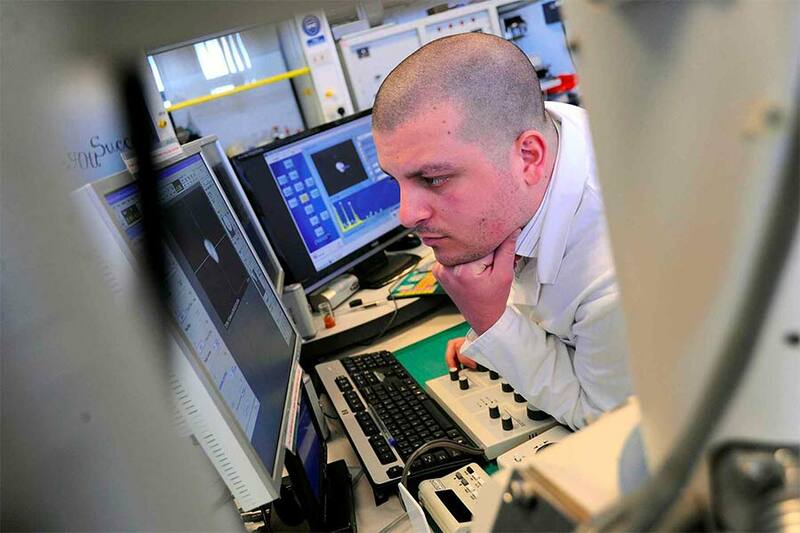 Graduate careers can include crime scene investigator, police officer, intelligence analyst, detention officer, or you could seek employment with agencies or government organisations such as the Environment Agency, HM Revenue & Customs, the prison service or local government. Graduates are also well placed to seek careers in the law and education sectors. From CSI: Vegas to Teesside, Jessica stars in her own real-life version. David is a volume crime scene investigator at Sussex Police.